SOBO Promotional Products, LLC is another J. Pat Beaird Small Business Award winner thanks to a reflection of hard work and dedication. Lopez’s parents lived with her family the last six years of her father’s life. 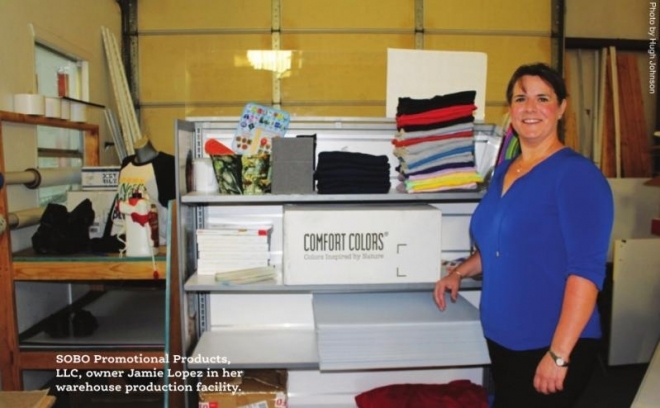 In 2009, SOBO started as a small sole member promotional product distributor in Northwest Louisiana. Since then, it has grown to 24 employees with a diverse client base in 29 states and four countries, including non-profits, health care, hotels, casinos (gaming), military, government, procurement and finance. "Working side-by-side with those clients, we guide them in decisions that directly affect their brand and bottom line through the selection of trade show displays, promotional products, premium incentives, staff uniforms, and printed marketing and sales support," Lopez said. This year, they have expanded into the production of banners, signs, screenprinting and embroidery, as opposed to strictly distributorship. It has added to their team and its capabilities. In addition, Lopez and her team work with numerous volunteer organizations and enterprises, helping other companies and future entrepreneurs make their dreams come true.